I've always said that there's an opportunity to learn something new every day. 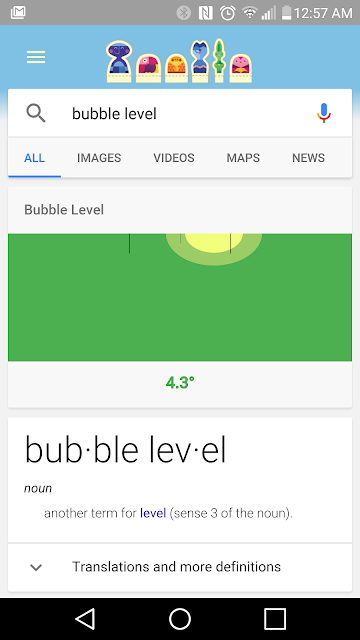 In today's #TIL it turns out Google Now had a pretty neat command to help you use your phone as a bubble level. Sure, there's apps, but you have to install them, whereas just punch in "bubble level" in Google Now and you'll get something built in right there! And it's funny, just the other day Cass had just posted about some of the cool tricks you can make Google Now do, and I had to remind her of our database page where we've kept track of the neat commands Now has.